When I left for China with [two] other sisters, Maestra Thecla accompanied us to the station and when it was time to say goodbye she hugged me with such warmth that even today I am deeply moved when I recall that moment. That same day, she sent me a letter brimming over with affection and maternal advice: she recommended above all that we love one another, that we remain faithful and united to our superiors, that we form a community of love and that we become saints. From 1937-1941 (when World War II began), she followed us regularly through her letters, ever-solicitous about our health. She advised us to study the Chinese language well and insert ourselves gradually into our new environment (and later into the Filipino context), so as to be able to carry out the apostolate better. I also remember how punctually M. Thecla answer the letters she received. 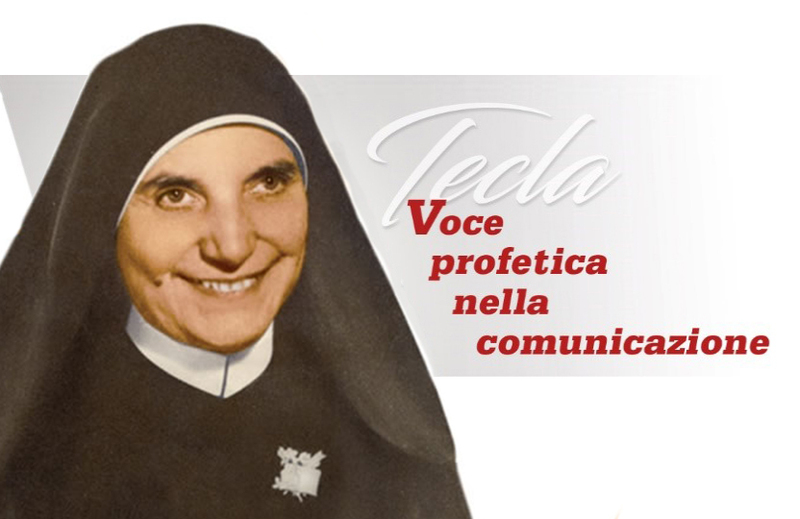 During the war years (from 1941 until about mid-1945) communication [between Italy and the Orient] was not possible so Maestra Thecla did her best to send her letters to us through our sisters in the United States. When communication was re-opened between Italy and the Far East, she did not fail to answer even a single letter of mine up until her final illness. Her letters were precise and concise, answering and clarifying every problem with just a few words. 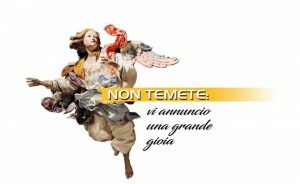 I was amazed at [Prima Maestra’s] clear-sightedness and prompt adherence to [Primo Maestro’s] ever new and risky requests concerning our vocation in the Church. She, who was always so simple and self-effacing, would take on a decisive, purposeful and courageous attitude that deeply impressed me. I saw that she was always sustained by faith and by fidelity to the charism of the Founder. 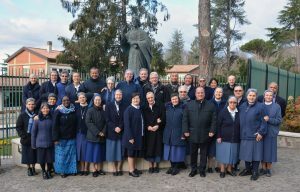 It was precisely because of this attitude of hers that not a few works were begun: the radio apostolate, the commitment to producing and diffusing records, the preparation and holding of a vast range of catechetical and biblical missions. Statement like “We must do good… As long as good is being done…” were a constant refrain with her. How many things our Mother taught us! Let us continue to pray to her and ask her to intercede for us. Let us imitate her faith, humility and apostolic zeal. Let us make known the small and big graces that we have witnessed in every part of the world and let us help others get to know her prophetic words, which today continue to proclaim the glory of God.